Totally updated includes roof 1 yr, heat & air 3 yr, Hot water 6 yrs. Freshly painted throughout. Home inspection completed and all items brought up to top standards. Beautiful hardwood floors, gas fireplace in living room. Large eat in kitchen. Tons of storage space in separate buildings on property. Large workshop with utilities, 14x40 covered carport. SchoolsClick map icons below to view information for schools near 2021 Carolina Avenue Durham, NC 27705. Home for sale at 2021 Carolina Avenue Durham, NC 27705. 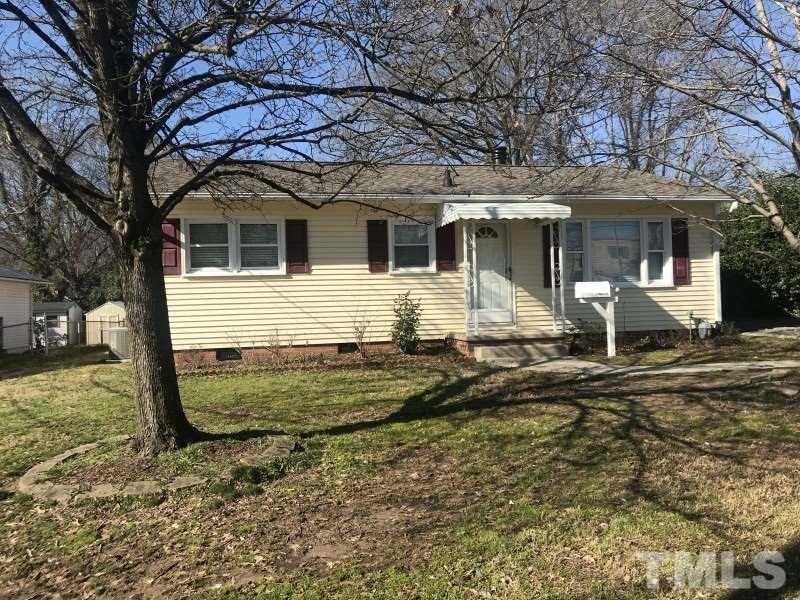 Description: The property at 2021 Carolina Avenue Durham, NC 27705 in the Warren Park subdivision with the MLS# 2236327 is currently listed for $165,100 and has been on the market for 66 days. You are viewing the Triangle MLS listing details of the home for sale at 2021 Carolina Avenue Durham, NC 27705, which features 2 bedrooms and 2 bathrooms, and 1085 sq.ft. of living area.